Above: An overview of the Sheffield Solar Farm. Here, we test a range of commercial and experimental devices under real world conditions and link this with detailed calculations and measurements of the local climate. 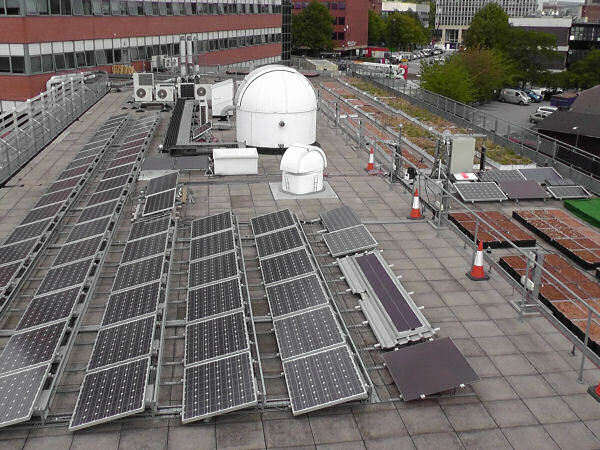 In the image, you can see the various panels under test on the roof of the Hicks Building, as well as the Astronomy group's undergraduate teaching telescopes and a variety of plants being grown as part of a green-roof project.